Cultural analysis. An Interdisciplinary Forum on Folklore and Popular Culture. 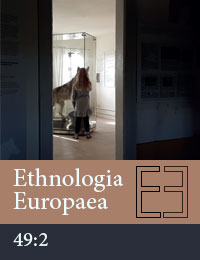 Open Access, online journal, with a global scope, dedicated to investigating expressive and everyday culture. From 2016 on, there will be two volumes per year: a special issue, edited by guest editors, and a regular issue with mixed contributions. Founded in 1999. Find here conference proceedings and related publications to past SIEF congresses. In this voluntary online depot you will find SIEF-related publications by members. Please contact sief(at)meertens.knaw.nl with suggestions of articles to be published in this section. SIEF does not publish scholarly works itself. Usually the outcome of congresses and working group conferences are published by independent publishers. However such publications are allowed to bear a secondary ISBN number of SIEF, which makes them recognisable as a SIEF related publication. Such an ISBN number can be requested from the secretariat.